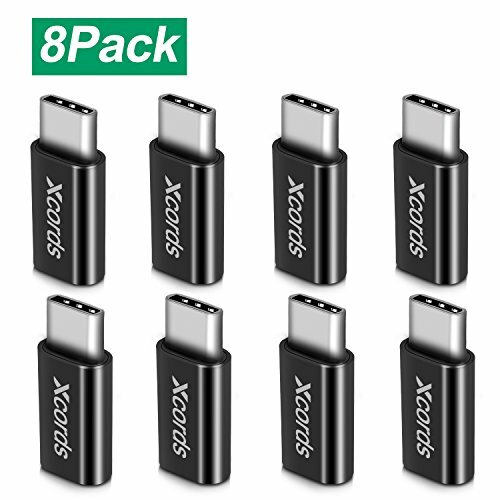 Allows you to connect USB Type-C devices with standard Micro-USB cable to achieve charging, sync and data transfer. Quick charge and sync for your Type-C devices by connecting with the standard Micro USB Cable. Please Note: Speed of data transfer and charging depends on the wall charger and Micro USB cable. other devices with USB Type C connector. Effortlessly insert the USB C connecter into any USB C enabled devices. No need to worry about which side is up. Enjoy 12 months replacement or refund warranty. If you meet any questions, please contact us immediately, we will try our best to help you.